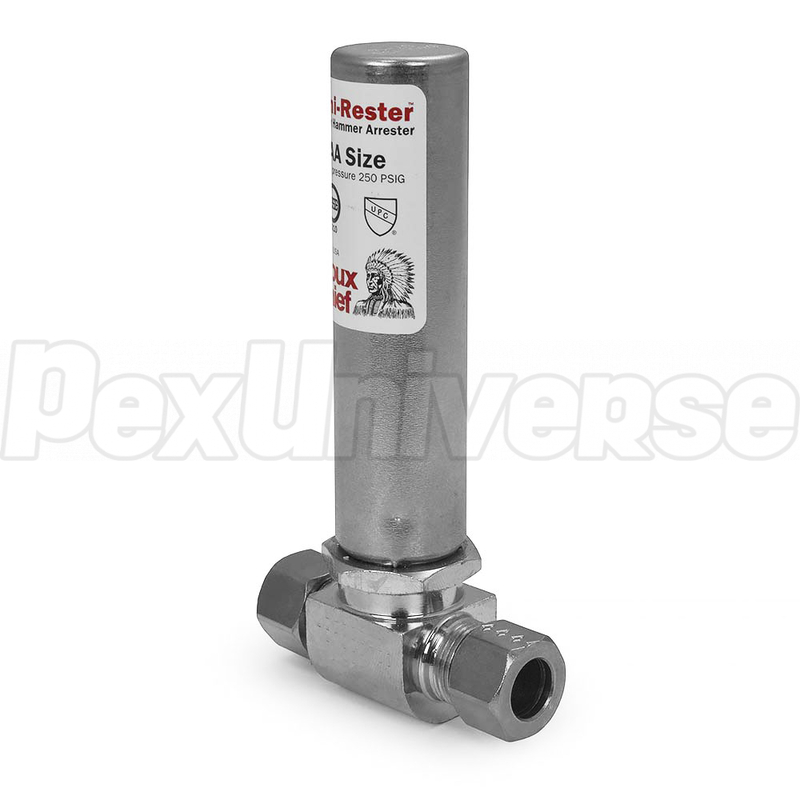 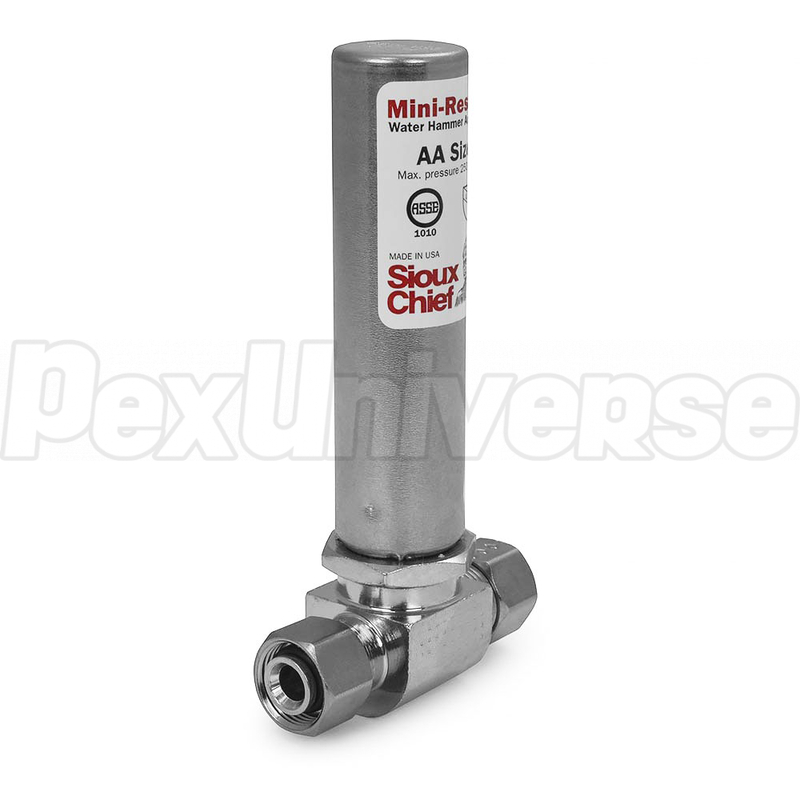 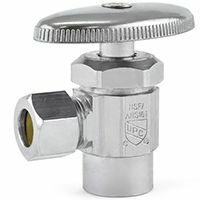 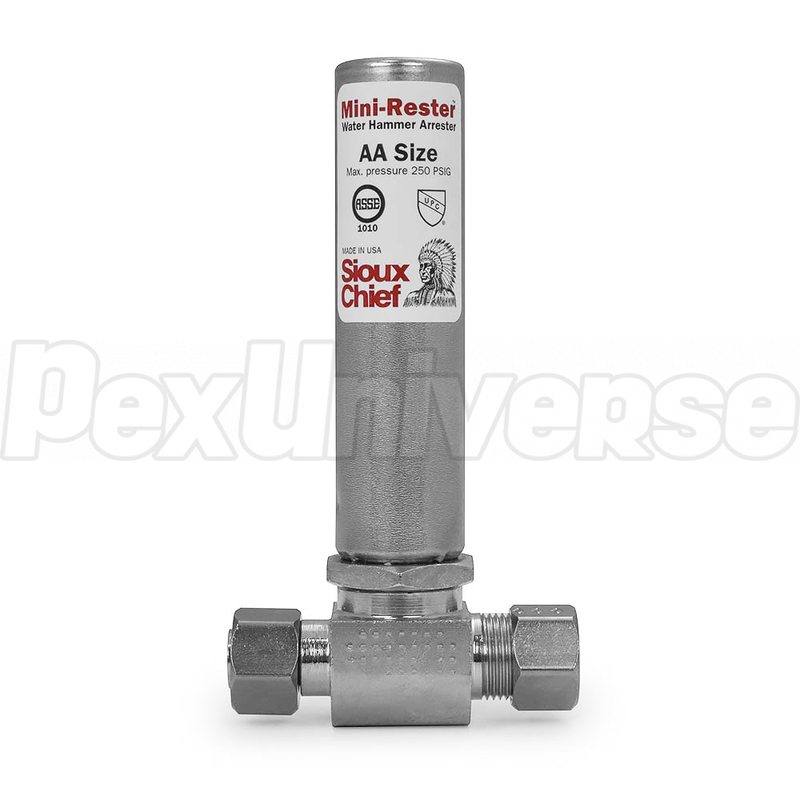 This Mini-Rester Water Hammer Arrestor is generally installed in between the 3/8" OD copper supply line (or riser) and a stop valve with standard 3/8" OD compression connection. Certified by ASSE to the ANSI/ASSE 1010-2004 Standard. Materials: body is steel tube, piston is poly piston with two EPDM o-rings, piston lubrication is Dow-corning, 111 FDA approved silicone compound.